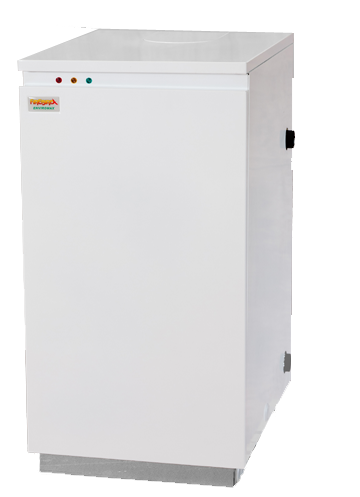 This is an indoor Kitchen Heat Only 35-44kW condensing oil boiler manufactured by Firebird. A high quality finish ensures this boiler fits into your kitchen perfectly. It has an ErP A efficiency rating. The boiler is built using premium grade steel. These boilers are a compact design and will fit under standard kitchen worktops.